Review: Light and Dark themes in "Flicker" • Tips, Trends & News in 60 Seconds or Less! In this verse, the orchestra takes advantage of the themes of emptiness and plays a simple melody that mimics the death of passion in the relationship. Each sparse note played on stringed instruments echoes a little longer, seemingly only existing to fill the empty space in between words. Horan then uses the chorus to remember how the relationship began in the first place, and realizes that walking back through these early memories begins to rekindle a spark within him. Suddenly, “there’s a light in the dark,” and instead of trying to find hope to cling to, he creates his own hope based on a flicker in his memory. The second verse of the song continues with an implied darkness and lyrics that focus on the sound of the muse’s breathing. This breathing pattern follows the theme of focusing intently on simple things that fill empty space. As she sleeps, Horan questions their current predicament and reiterates the last line of the first verse. However, this time, it holds a deeper meaning and there is a sense of urgency that accompanies the idea that what they once had could be gone. As Horan comes to this realization, a piano is introduced to the background music, which has begun to increase in tempo and volume. The scattered piano notes resemble an auditory version of light flickering in darkness as the very melody of the song embodies the relationship itself. 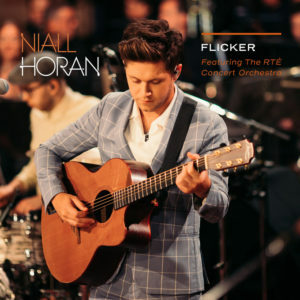 “Flicker’s” ambiguous bridge resembles the constant back and forth of the relationship as Horan grows to believe his realizations. The flicker of optimism gives rise to a new mindset as the orchestra music swells to parallel the firm and dramatic emotions of passion and hope.